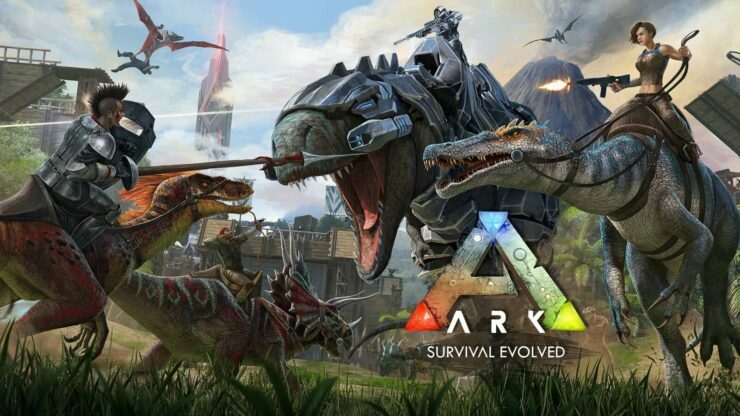 ARK: Survival Evolved, the highly successful dinosaur-themed survival game launched by Studio Wildcard a couple years ago on Steam Early Access, finally released on PC, PlayStation 4 and Xbox One in late August. The game’s performance has always been one of the main points of criticism among players. The community had hoped to find major improvements with the game’s full release, but according to Digital Foundry, this is not quite the case. Focusing on the console versions of ARK: Survival Evolved, they found out that the game runs at disappointing 640p/720p on the base PlayStation 4, depending on the chosen mode (normal or detail). Owners of a PlayStation 4 Pro console can select normal mode and get 720p resolution, while detail mode outputs the game at a native 1080p resolution; in all cases at 30 frames per second. Microsoft’s Xbox One port fares even worse. The game runs at 720p with no ability to choose normal or detail mode, and it doesn’t even have v-sync which means that ARK: Survival Evolved on Xbox One suffers from continuous tearing. That’s not as much as a problem on PlayStation 4, but even there Studio Wildcard’s implementation is far from flawless. The frame rate remains always uncapped, which is a problem as it can cause tearing. Digital Foundry’s advice is to use the adaptive v-sync setting. So far your best option when it comes to consoles is to play the game on PlayStation 4 Pro, though the Xbox One X will have the edge once it launches on November 7th with its 1080p/60fps target as Studio Wildcard revealed to Wccftech at E3 2017. Things aren’t rosy on PC either, anyway. Russian website GameGPU tested ARK: Survival Evolved and the overall performance is still very much disappointing. At native 4K resolution and ‘Epic’ graphics settings, the mighty GTX 1080Ti can only manage an average of 25fps, meaning that you’d need to have two of them to run the game smoothly at 4K resolution. Hopefully, Studio Wildcard can still deliver further performance improvements via patches.